Beautiful weddings cakes in the beautiful city of Newcastle. 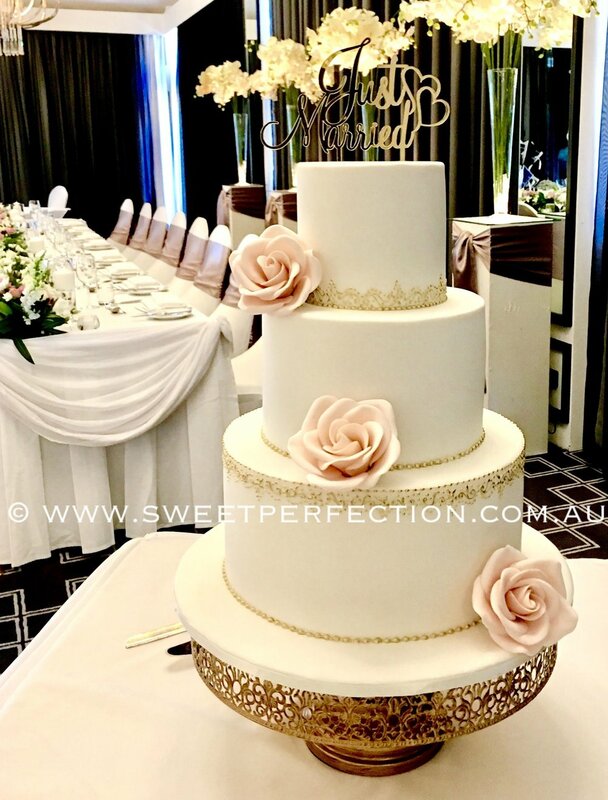 Sweet Perfection is a home-based boutique business in the Newcastle-Lake Macquarie region specialising in wedding and other occasional cakes. Our focus is on excellent customer service and the perfection of unique and delicious cakes, cupcakes and cookies, all designed, baked and decorated from scratch. At your wedding reception, one of the key focal points will be your wedding cake. 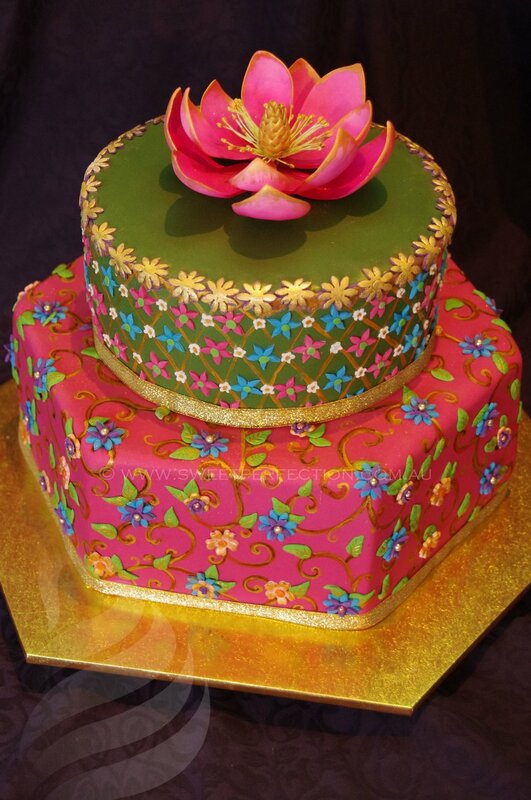 Let us design you a cake that reflects your style and spirit. We service and deliver to the Newcastle, Lake Macquarie, Port Stephens and Hunter Valley areas. We are also happy to talk to non-Novacastrians heading to our beautiful region for a destination wedding. 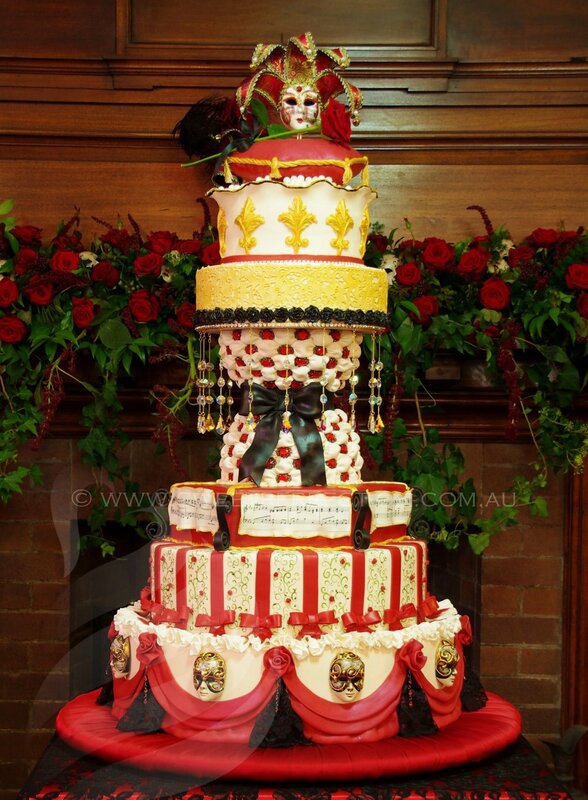 Sweet Perfection is owned and operated by Eva Farragher, a TAFE-qualified baker, with over 25 years experience in making and decorating specialty cakes. While you are here, take some time to look through our cake galleries, check out the cake flavours and fillings we offer, and peruse the feedback from some of our treasured past clients. There is also our FAQ section, and of course the blog and news page. If you are ready to enquire about YOUR wedding cake, or special event, please click here to contact us.